Spec Sheet Holders for display vehicles/ cars in automotive showrooms & garages. Autotag Ltd, trusted supplier to motor trade since 1986. A4 Portrait Spec sheet holder. 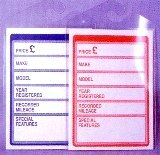 Autotag has been supplying the original Spec Sheet holder to the motor industry for many years. fits easily inside the window or windscreen – no matter how steeply racked. no hangers, clips or suckers. no water ingress & no brackets. no need to lower the window to fit. made of lightweight high quality plastic. 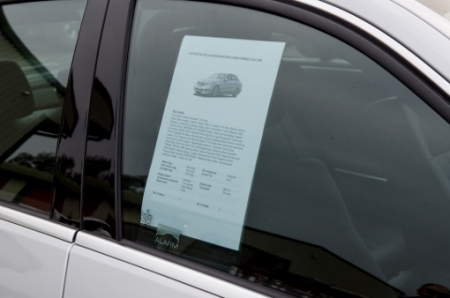 simply print the required details for the vehicle & insert into the Spec Sheet holder before fitting for display.